Dino Dig Fossil Kit is a perfect dinosaur dig for school educational project! 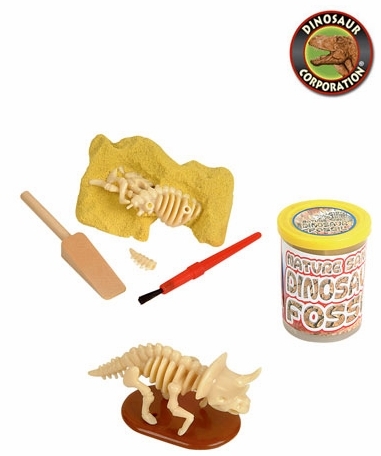 With the nature sand dino Fossil excavation kit kids can conduct their own paleontology dig! 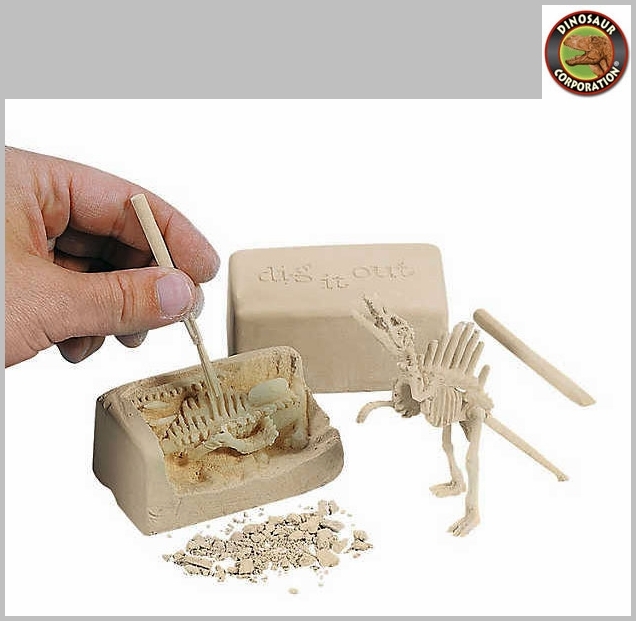 Each kit includes a dinosaur skeleton in gypsum sand, plus a brush and stick. Discover a Tyrannosaurus, Deinonychus, Seismosaurus, Spinosaurus, Triceratops, or Stegosaurus. Exciting discovery reveals which dinosaur will be in your nature sand package?